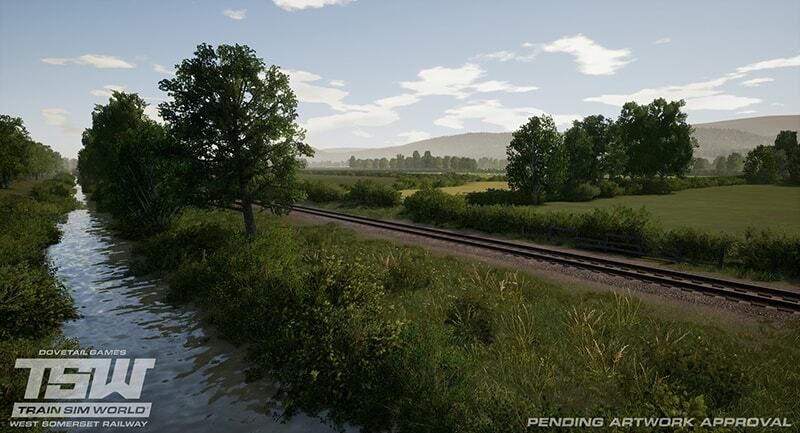 Introducing Train Sim World: West Somerset Railway, the next expansion that brings a festival of horsepower to an authentic recreation of Britain’s longest standard gauge heritage railway – coming soon! Proposals for branch lines in and around Somerset were quickly discussed following the completion of the Bristol and Exeter railway in 1845, many competitive options were put forward, prioritising both freight off the Bristol Channel and tourists visiting the West Country from the likes of London. Ultimately, none of the early talks culminated in new tracks being laid. The concept was taken more seriously some 10 years later, with a few ideas floating around for a railway to Watchet, a then-major port, connecting with the main line to Bristol and Exeter. The planned lines would be expensive to build and challenging to traverse, Isambard Kingdom Brunel was brought in to advise, and he found a route connecting Watchet and Taunton via Williton. Construction began in 1859 and trains were running roughly 3 years later. Before the initial line had even opened, official word on an extension to Minehead was sought after. This was eventually granted and the new line was opened in 1874. Mostly a single-track railway, a passing loop was instated at Williton so traffic couldn’t block the line, and more would be added, such as at Crowcombe Heathfield, as traffic continued to rise. One big change had to happen however; built to Great Western standards, both the line to Watchet and the extension to Minehead were of the 7ft ‘broad’ gauge as designed by Brunel. This was not adopted as standard throughout Britain, and so the entire line was converted to standard gauge in 1882, over a weekend! Some of the most radical developments happened during the West Somerset Railway’s time under Great Western operation, most of which was simply to increase traffic capacity and length of trains as the area quickly became popular with people looking to get away from the big cities. Track duplication, larger stations, extended platforms, more passing loops, and to attract tourists, camp coaches at Blue Anchor and a new swimming pool at Minehead. However, the story does not follow this trend beyond nationalisation, British Railways saw the closure of signal boxes, engine sheds, and what must have been the final straw, Norton Fitzwarren station, the gateway to the West Somerset Railway, was closed in 1961. Efforts were made to keep the line popular, including the opening of a Butlins camp at Minehead, in 1962, but the line couldn’t be saved forever. The Beeching report of 1963 recommended the line for closure, and freight was soon withdrawn after that. Passenger services met a more gradual decline, eventually ceasing in 1971 and being replaced by a bus service. Immediately, talks were underway about how to preserve the line, and the feasibility of running it as a heritage route. No less than 6 years later, the overgrown trackside scenery had been cut back, and phase-by-phase, the West Somerset Railway slowly re-opened to historical traffic, becoming the longest standard gauge heritage railway in Britain. The most recent developments for the line included a new turntable at Minehead in 2008, and the reconstruction of Norton Fitzwarren station in 2009. 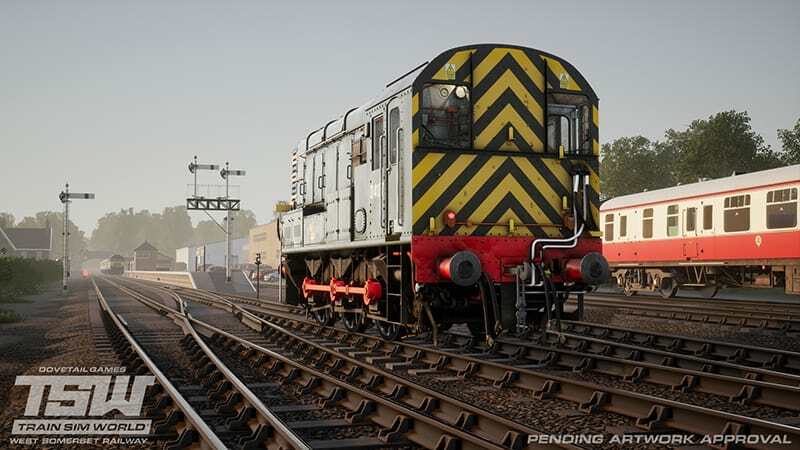 Train Sim World: West Somerset Railway recreates the 23-mile heritage railway from Minehead to Norton Fitzwarren, and it’s a special occasion, as the expansion represents the WSR as it would be during the middle of its annual Diesel Gala: local residents D1661 and D4107, BR Class 47s and 09s respectively, lead the way, hauling Mk1 coaches under sunny skies across stunning scenery!